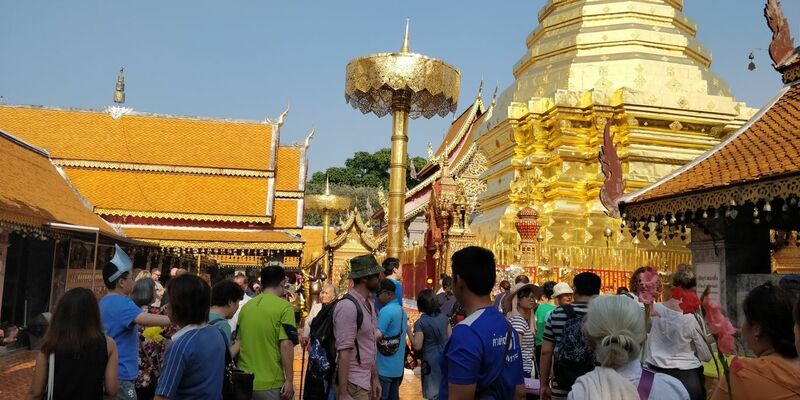 Wat Phra That Doi Suthep is a Theravada Buddhist temple in Chiang Mai Province, Thailand. The temple is often referred to as "Doi Suthep" although this is actually the name of the mountain where it&apos;s located. It is a sacred site to many Thai people.